FeedBlitz, the premium FeedBurner alternative, has released a free e-book on how to safely migrate your RSS subscription services from Google’s FeedBurner unit to FeedBlitz without losing subscribers. The PDF e-book contains nearly 30 pages of step-by-step instructions, with screenshots, to help bloggers and marketers frustrated with FeedBurner’s limited publisher branding, complete lack of support and inconsistent deliveries migrate to FeedBlitz for RSS, email and social media subscription automation. The guide can even help FeedBurner users who are no longer able to access their FeedBurner accounts. For those looking for a viable, supported FeedBurner alternative, FeedBlitz is the answer. FeedBlitz delivers the industry’s most comprehensive RSS to email blog subscription and email marketing services, and is the only service that offers both RSS subscriber statistics and email production, delivery and social media marketing services. 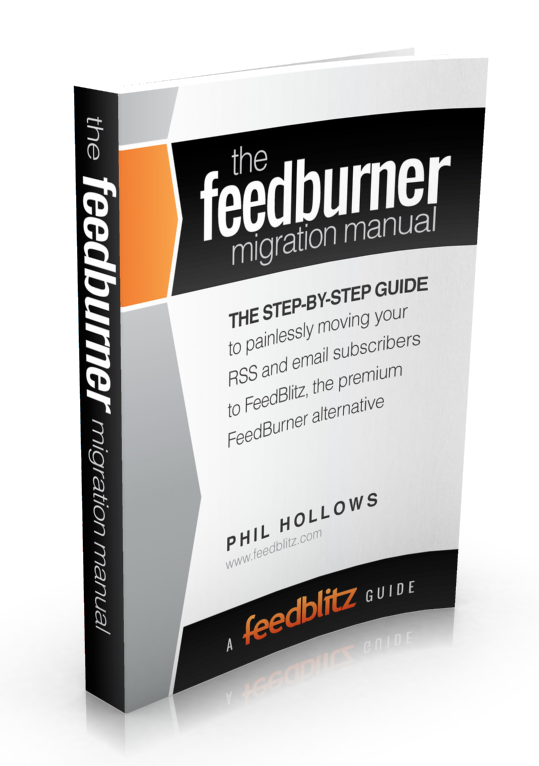 The FeedBurner Migration Guide is a freely available after initial registration. Click here to learn more about this essential manual, and how to leave FeedBurner without losing your readership.